What is NoPho? It stands for North Phoenix, a fast-growing area of desert communities along the I-17 corridor from Norterra to New River [map]. In an informal survey conducted by In&Out Magazine, residents of the region suggested NoPho as a nickname more than any other. And we liked it a lot. Phoenix population and boundary growth, 1881-2010. NoPho is the northernmost finger of the city. 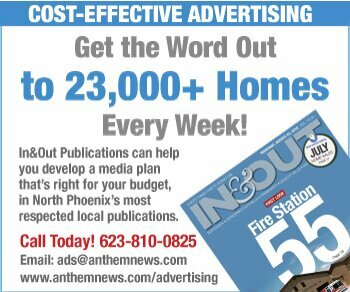 NoPho (and the rest of Phoenix) are in Maricopa County, named in 2017 as the fastest-growing county in the nation. Separately, Phoenix in 2017 was named the fastest growing city in the country and regained its spot as the 5th largest city in the nation, bumping Philadelphia back to No. 6. Phoenix is just one of 24 cities and towns in Maricopa County, along with several unincorporated rural communities. It encompasses the northernmost reaches of the city, just a narrow finger of Phoenix that extends nearly 8 miles north of the Carefree Highway. It includes the last major part of the city to be annexed, mostly between 1995 and 2004 (annexation map). NoPho neighborhoods are mostly within 2 miles of Interstate 17, which serves as the main north-south artery for the region. NoPho means less congestion compared to the rest of Phoenix. Residents enjoy both rural and suburban living with easy access to multiple regional parks — including Lake Pleasant — that offer extensive multi-use trails. NoPho is the city’s gateway to Sedona, Flagstaff and the rest of northern Arizona. 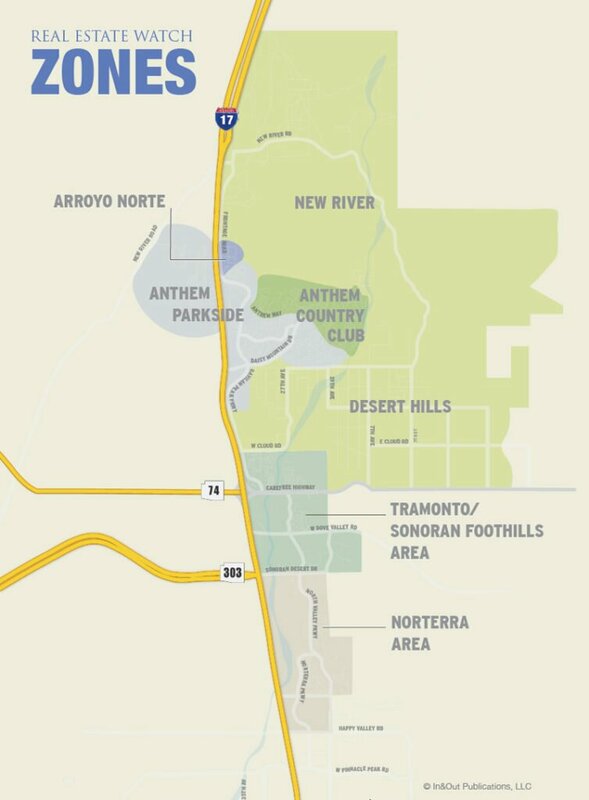 NoPho includes not just city neighborhoods but adjacent parts of Maricopa County where residents share roads, a school district (DVUSD) and some services. These include New River, Desert Hills and the east side of Anthem. The prominent landmarks Daisy Mountain and Gavilan Peak bring visual definition to the northern edge of NoPho, as I-17 leaves the burbs and begins a long, gradual ascent into the mountains. At the southern fringe is Happy Valley Road, marking a transition to extensive industrial and commercial districts southward. East and west of NoPho are miles of open space, a mix of preserves and State Trust land subject to potential future development. NoPhoNews and In&Out Publications have mapped NoPho into zones that correspond to significant distinctions in where people shop, work and play, as well as in real estate activity.